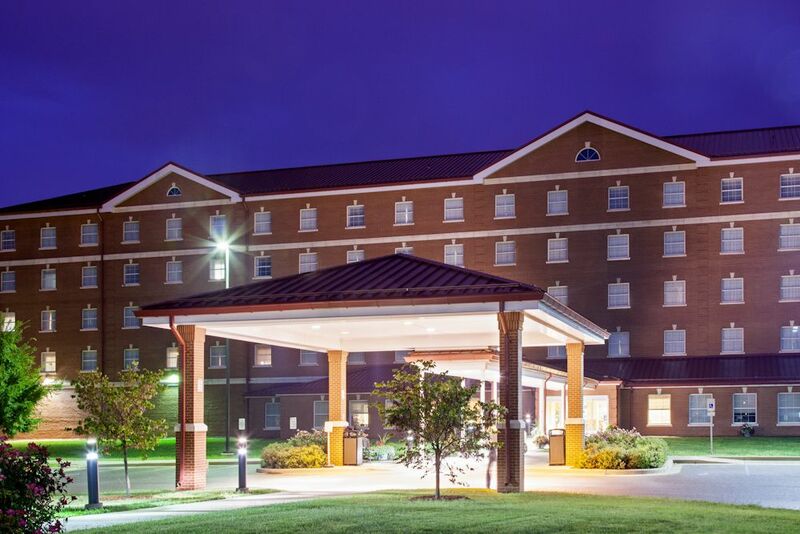 We invite you to experience the newest IHG Army Hotel at Fort Knox Newgarden Inn! Located 30 minutes from the Louisville International Airport (SDF), the hotel is located on the grounds of Fort Knox. Popular attractions in the area include Patton Museum, Armor Unit Memorial Park, Tribute to the Armored Soldier and the US Bullion Depository/Gold Vault. While staying on post all soldiers can utilize the military facilities including the Post Exchange, the various restaurants, fitness facilities and recreational activities. A local shuttle will provide complimentary transportation to all guests on post, and to civilian workers looking to grab groceries or a quick bite to eat off post. Civilians will find themselves conveniently located to a variety of off post restaurants while doing business with Fort Knox in Radcliffe, KY. Nearby corporations includePapa Johns International, UPS and Cardinal Healthcare. Our limited service Fort Knox hotel in room features include microwaves, refrigerators, cooktops wired/wireless high speed internet, 32 flat panel HDTV and queen beds. All guests can enjoy the Simply Smart Breakfast, including the famous Holiday Inn Express Cinnamon rolls. The hotel also features a state of the art fitness facility and business center. Our Newgarden Inn hotel is your home away from home.